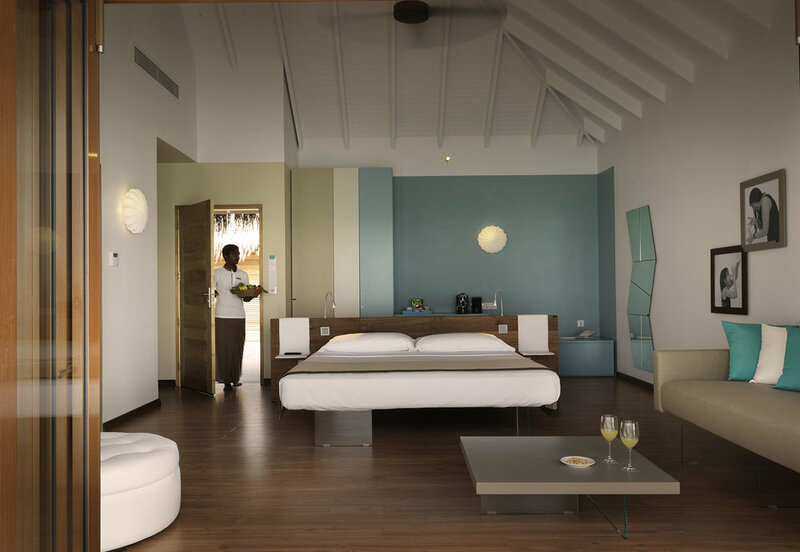 Cocoon is the first design hotel in the Maldives. 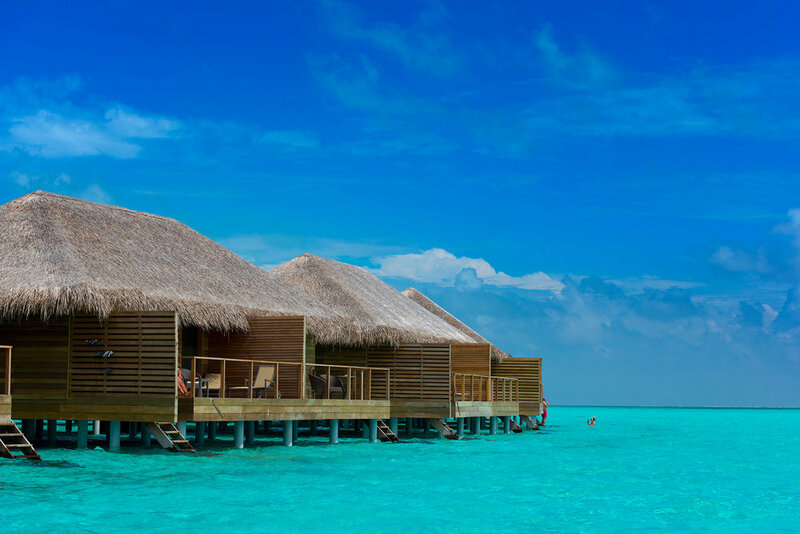 With interiors designed by Lago, one of Italy’s finest design companies, Cocoon is the perfect destination from which to discover the Maldives, whether you are honeymooning, snorkelling, or just wanting to unwind and relax. Inspired by the concept of lightness, Cocoon aims to regenerate the spirit and soothe the mind. Everything has been carefully planned to create a perfect atmosphere of harmony and tranquillity. Cocoon is a 5-star, family-friendly, stylish resort. It offers guests both privacy and places to socialise, with its clubs, restaurants and bars. 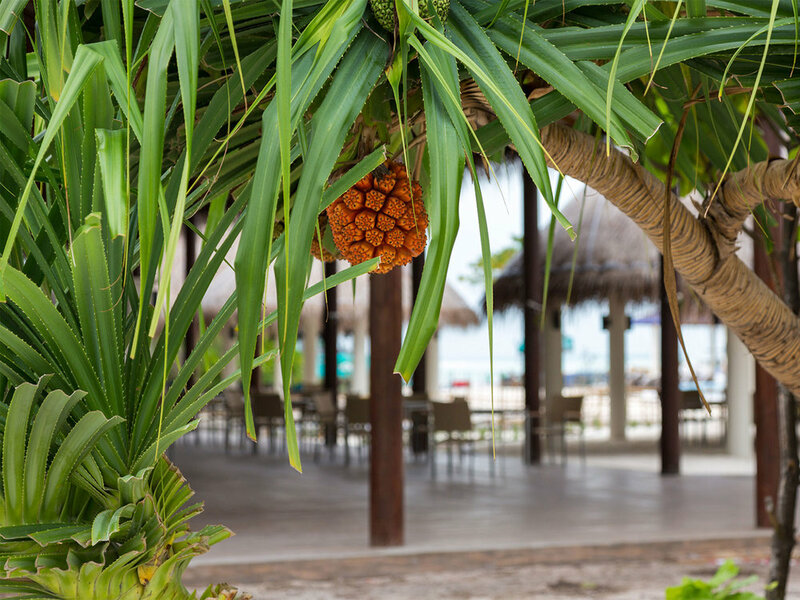 The resort boasts a variety of restaurants and bars, offering a wide array of food and drinks, surrounded by beautiful tropical greenery and the stunning turquoise lagoon. 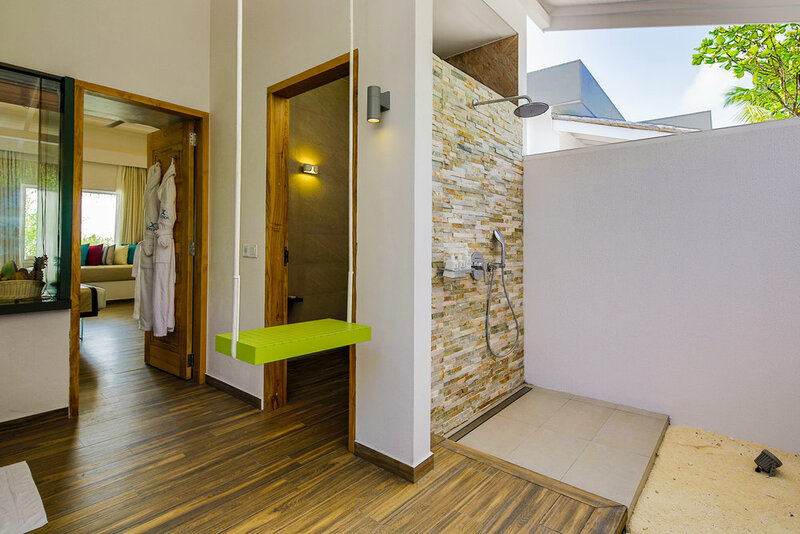 Cocoon also boasts a club for children, tailor-made excursions, entertainment and a spa. The resort, located in the Lhaviyani Atoll, is a scenic, 30-minute seaplane journey from Velana International Airport in Malé. 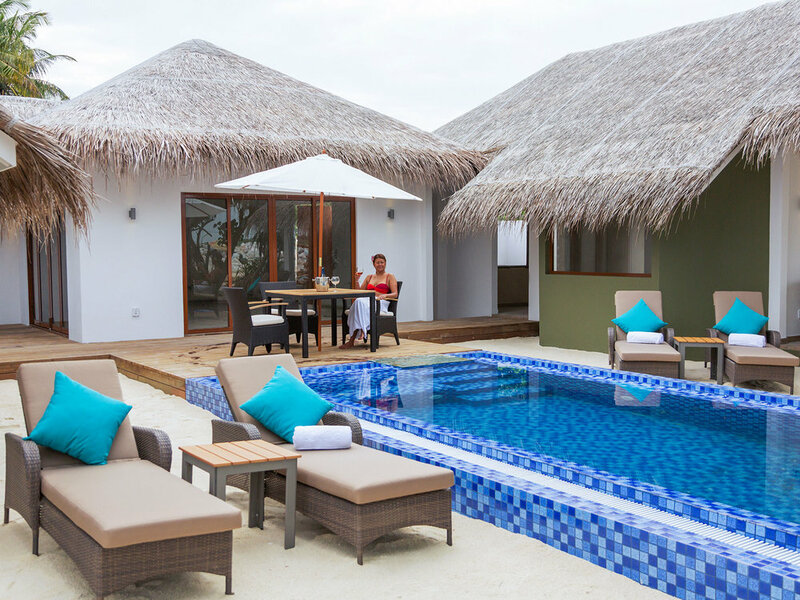 Cocoon has 150 guest villas, 3 restaurants and 2 bars. It is chic luxury with an affordable price tag. Early Booking Offer: Book 60 days before arrival and receive 20% discount on accommodation rate (single and double) for minimum 4 nights stay on Half Board plus basis. The offer is not applicable for the period from 27.12.2018 – 06.01.2019. 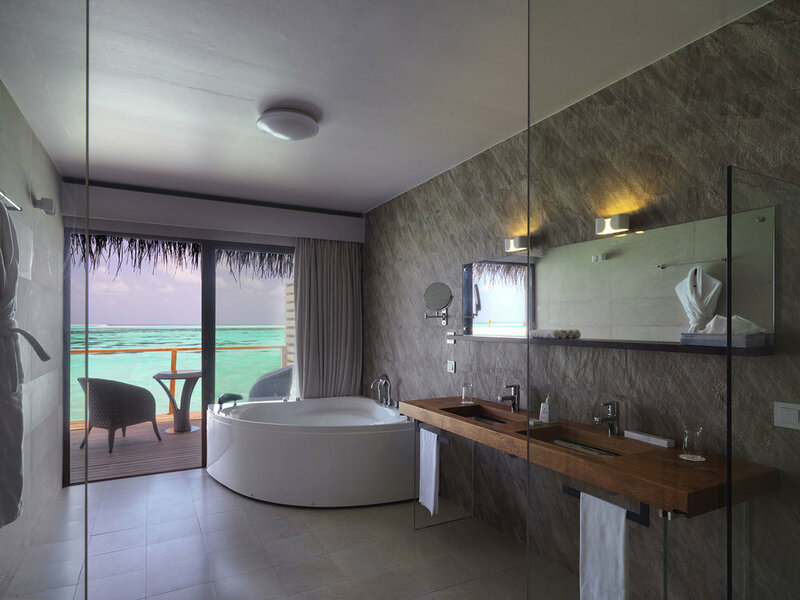 Free All Inclusive Upgrade: Book minimum 7 nights stay in Lagoon Villa or Lagoon Suite and get free Upgrade from Half Board plus to All Inclusive. Family Offer: Two children free of charge on half board basis when travelling and sharing the room with two adults. Blackout dates apply. The offers are subject to availability and can be withdrawn without notice. 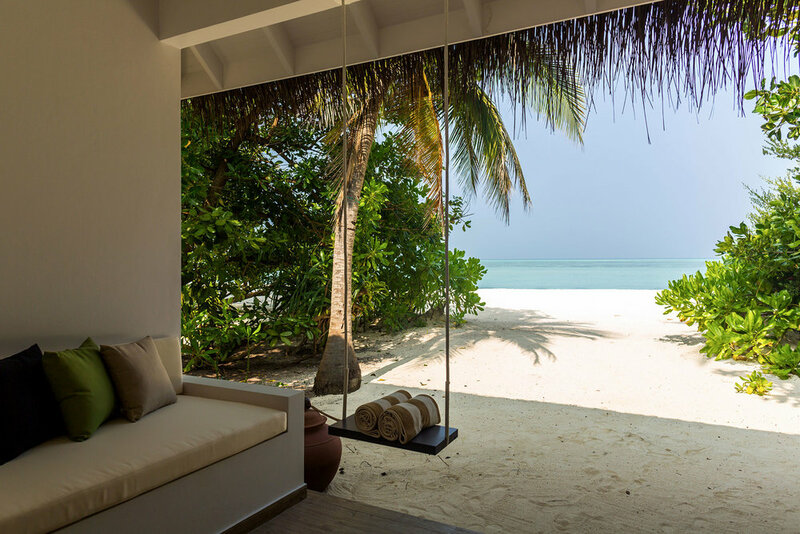 Cocoon has Beach Villas and Suites, Lagoon Villas and Suites, some with private pools. The top accommodation on the island is the Cocoon Suite. 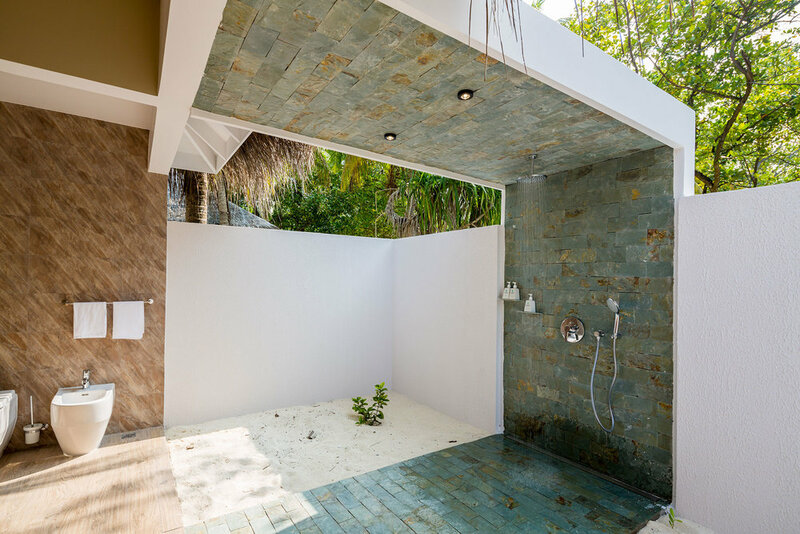 Each villa is perfectly designed for comfort. The beds float in the air. The villas feature rustic wildwood tables with a contemporary interior, surrounded by turquoise ocean, in a blend of luxury and tropical tranquillity, all exclusively designed by Lago, the award-winning Italian designer. The villas are fully designed for guests to relax, unwind and experience a timeless holiday. The beachfront terrace overlooks the stunning crystal-clear ocean, while the private garden is the ideal way to experience sunshine filled days with sun loungers, day bed, swimming pool and outdoor shower. The 50 Beach Villas have direct access to the beach. From every point in the room guests are treated to views that maintain a constant visual relationship with the landscape. 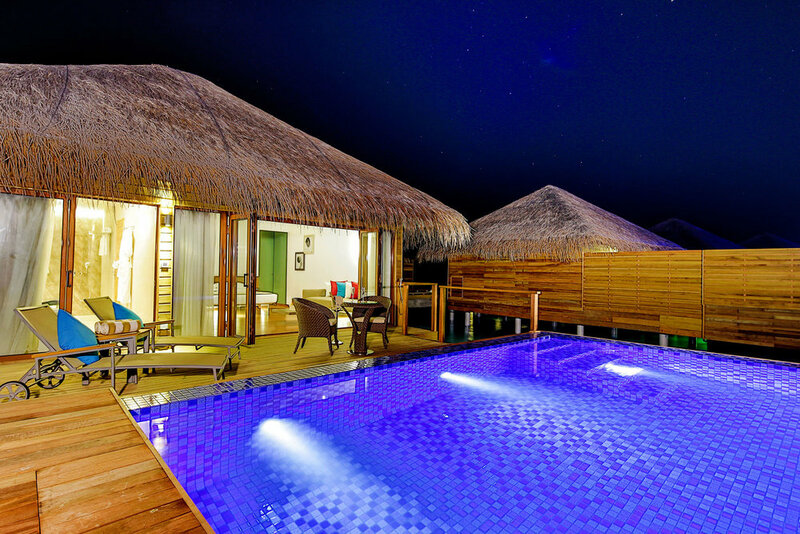 The Family Beach Villas offer stylish accommodation for families with children. Each has direct access to the beach. The Beach Suites feature wildwood, a two-hundred-year-old wood. A piece of the past for a contemporary interior becomes a headboard for the bed in the middle of the room and a suspended wash basin in the bathroom. From every point in the room guests are treated to views that maintain a constant visual relationship with the landscape. Like the Beach Suites, but with a private pool. The mood for Cocoon Maldives is exclusive. Every element, from the complementary pieces and the fabrics for the curtains to the greenery, makes the perception of this space unique. From every point in the room guests are treated to views that maintain a constant visual relationship with the landscape. Discover the unparalleled elegance of the Lagoon Suite. Like the Lagoon Suites, but with a private pool. 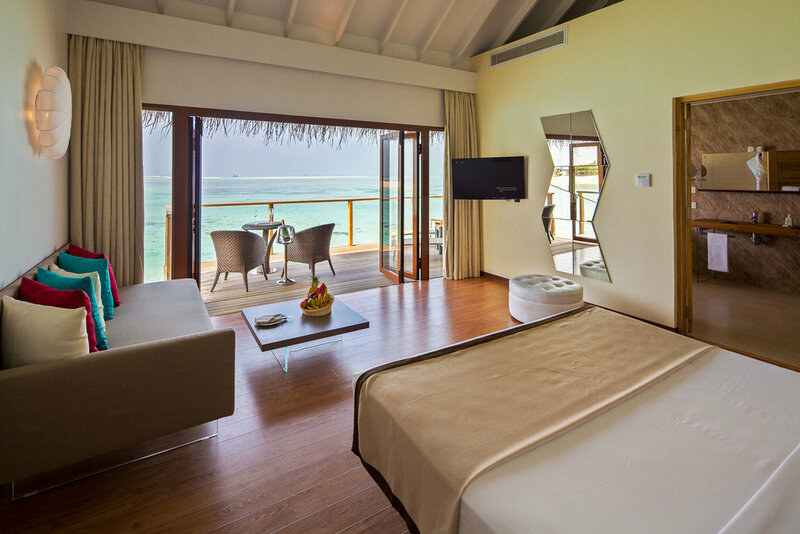 The 300 sqm Cocoon Presidential Suite is the ultimate in luxury comfort and is the largest suite on the island. It comes with a magnificent, huge living room, two beautifully appointed bedrooms, outdoor dining area and a private plunge pool. Its stunning beachfront setting has a jaw-dropping view of the lagoon. 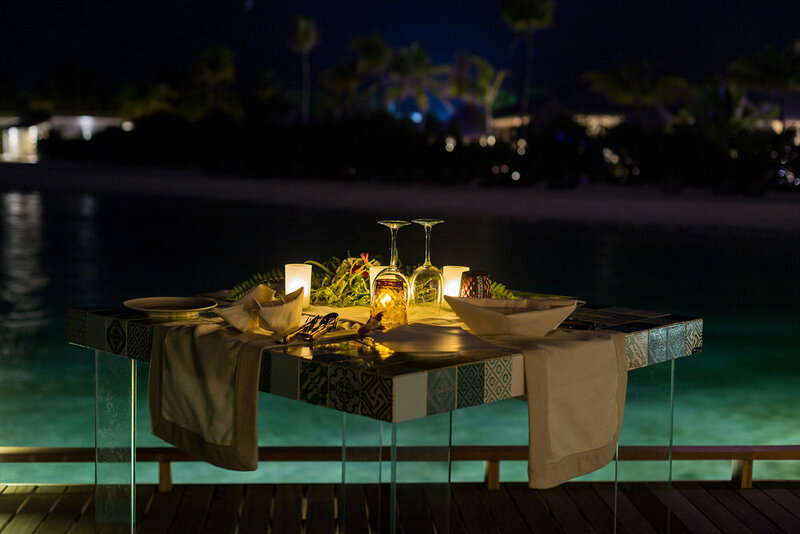 Cocoon Maldives offers a wide selection of awarded restaurants. The Manta Restaurant provides a la carte dining. The Octopus Restaurant showcases culinary highlights from around the world. Located under the palm, Palm Square offers a fine selection of grilled seafood dishes and special beef delicacies. The Loabi Loabi is available throughout the day and offers refreshing drinks along with Maldivian cocktails. It is a convivial meeting spot, with a live DJ every evening with pool parties. The Kurum-Bar offers daily refreshments and drinks within an idyllic setting and close to the main facilities. The kid friendly Cultural Club is a fun place of activities for all the family. With five different activities each day, there is plenty to do. 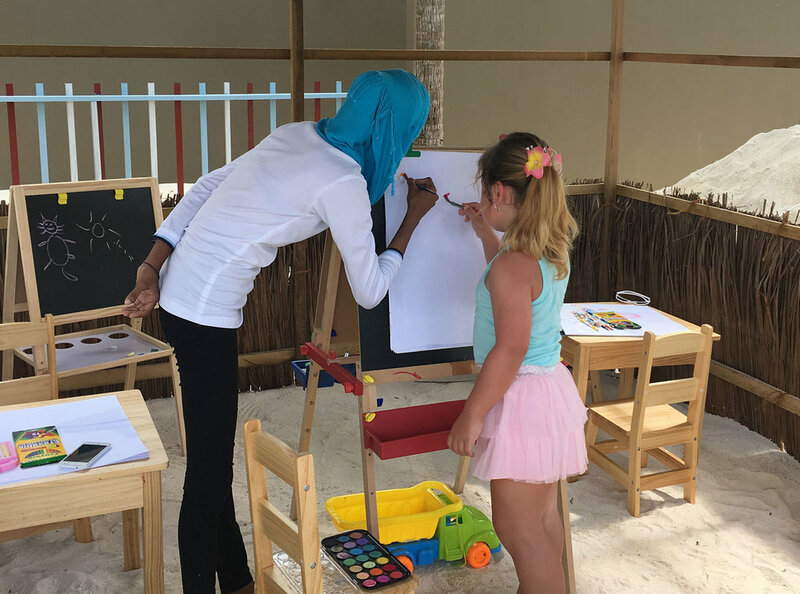 Activities include story time, assorted craft, games, mini beach soccer, and a weekly pool party. 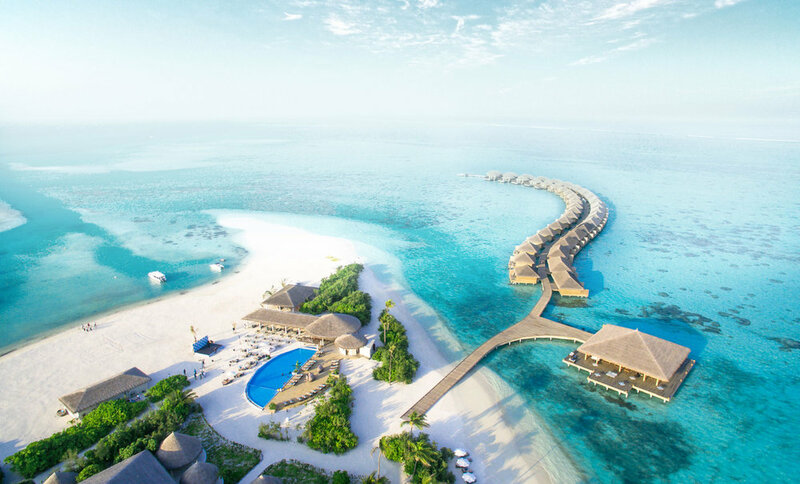 Cocoon is a great location to see some of the Maldives’ most charismatic sea creatures, such as manta rays, turtles, napoleon fish, and grey reef sharks. Cocoon houses a fully-equipped diving centre, run by certified professionals. Novices can learn to dive and complete their PADI certificate here. Experienced divers can enjoy bespoke dive trips to some of the atoll’s most vibrant dive sites. Cocoon’s Water Sports Centre offers everything needed for the ultimate water sports thrill. From snorkelling to jet skis, they have the complete range of water sports equipment and activities to satisfy even hard-core adventurers. Some of the best excursions in Maldives can be arranged, including a dolphin cruise, sunset fishing, snorkelling, a tour of local islands, big game fishing, a picnic on a deserted island or a private date on a deserted sandbank. At Cocoon, there is never a lack of things to do and see. 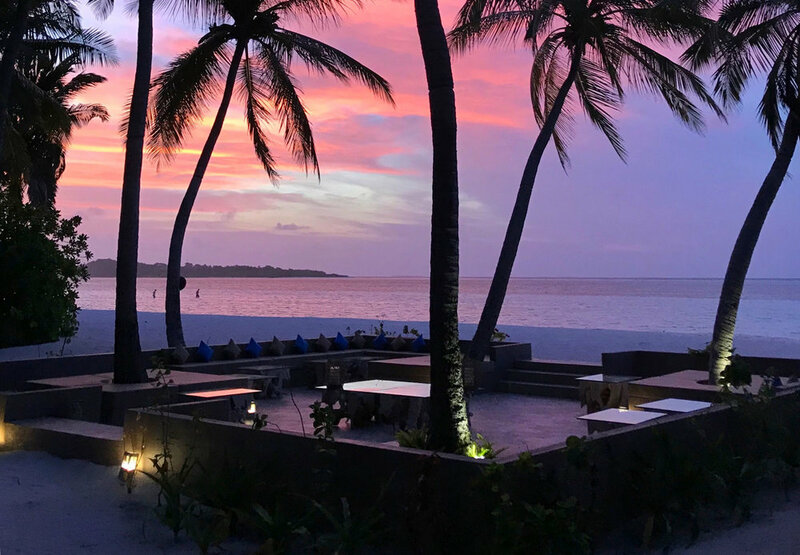 Fine yet family friendly entertainment is offered daily, including live bands, discos, karaoke, a Maldivian cultural show and fish feeding. There is a range of sports, including yoga, pilates, aqua aerobics, Zumba dance and much more. Try beach volleyball, bocce, five-a-side football or billiards. which includes breakfast, dinner and drinks.